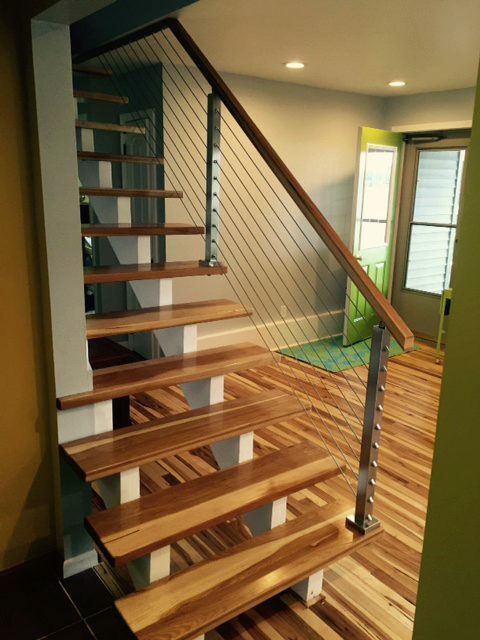 Viewrail Systems are so adaptable that they fit nearly any stairway. 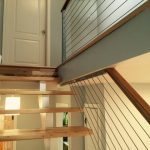 Because our systems are customizable in most scenarios, our cable railing offers solutions to tricky mounting problems. In this project, you can see how the cable terminates into a wood strip on the ceiling for a sleek, seamless look. 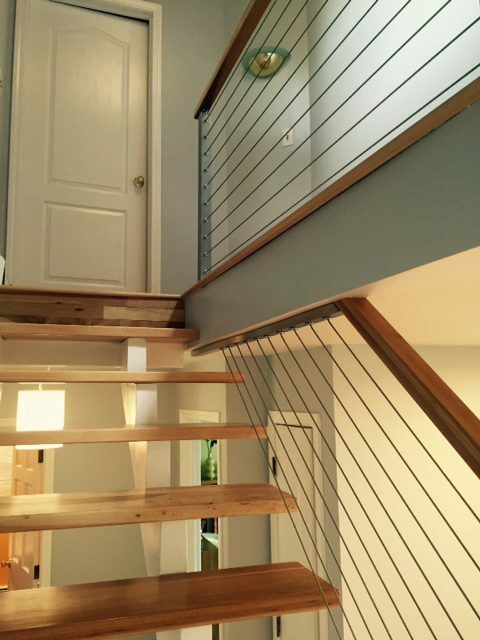 This cable railing ceiling mount allowed the customer to have the railing they desired without running in to post issues at the top of the stairs. Solutions like this one are part of what make Viewrail ideal for cable railing projects all across the country. If you have a tricky staircase, don’t get discouraged. Speak with one of our experienced staff members to see how Viewrail can work for you.